Happy October!!! It's time for all things Halloween, so all month you can catch me singing "This is Halloween, this is Halloween, Halloween, Halloween, everybody sccccrrreeaaammm" - and if you didn't catch this reference, please go watch some Nightmare Before Christmas! 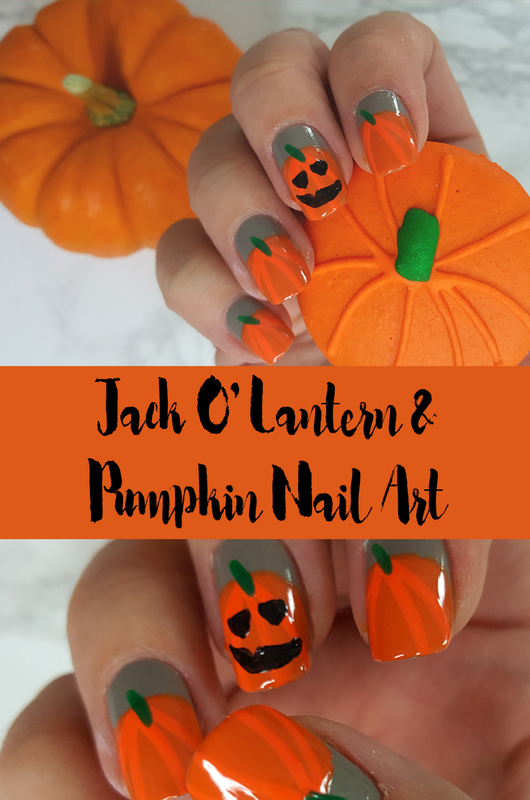 I'm planning on doing Halloween nails all month and so prepare for all the Halloween nail art! 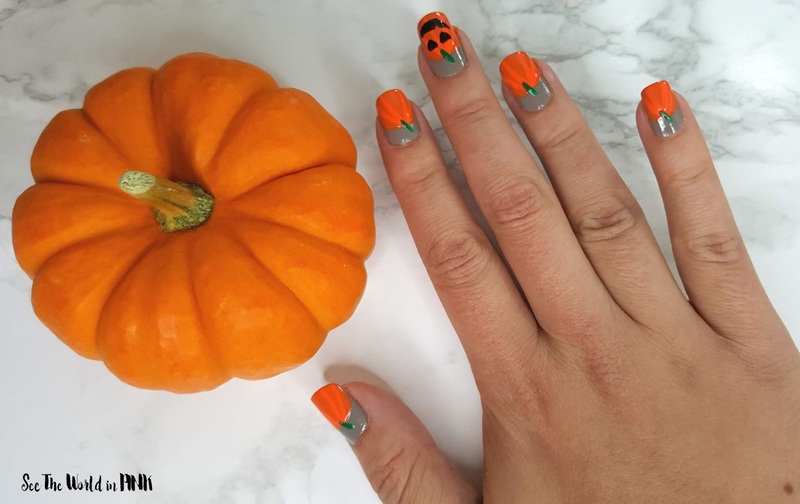 Also, all the #CBBxManiMonday ladies, Jayne from Cosmetic Proof, Trysh from Prairie Beauty Love, and Eithne of Tea & Nail Polish plan on doing Halloween nails all month so make sure you check out their nail looks too! 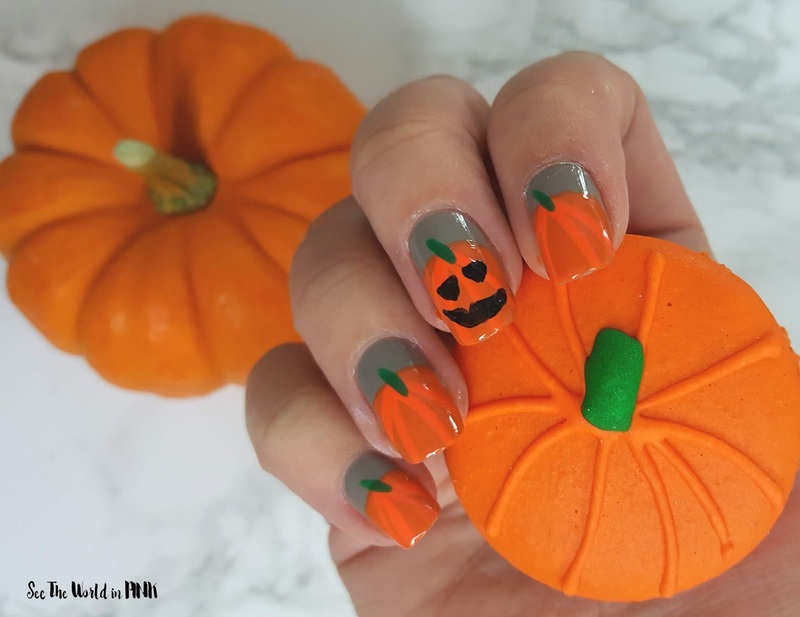 I've been thinking about doing pumpkins for a while and when I picked up a delicious Pumpkin Spice macaron (from Filigree Pastries) - I knew I had to do pumpkin nail art! But, it's not very Halloween'y, so one had to be carved in to a Jack O' Lantern! -Pretty Woman polish in "I Can't Deal"
I love how these little pumpkins turned out! They are so cute and have me all ready for Halloween! 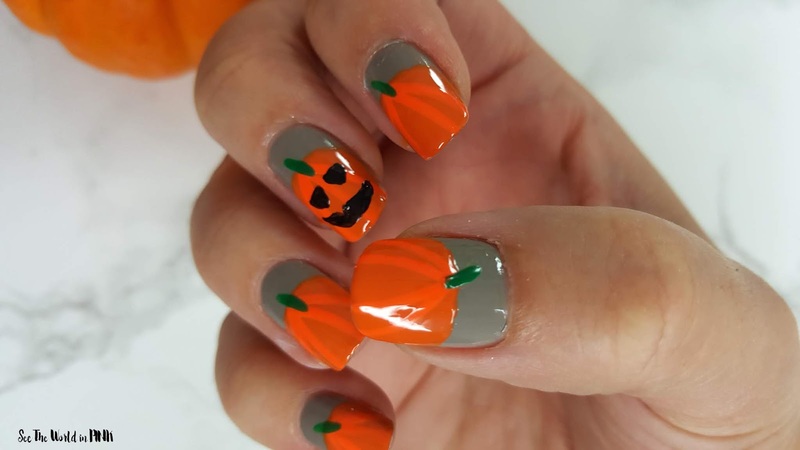 Any other Halloween nails you want to see me do this month? I'm always up for suggestions! 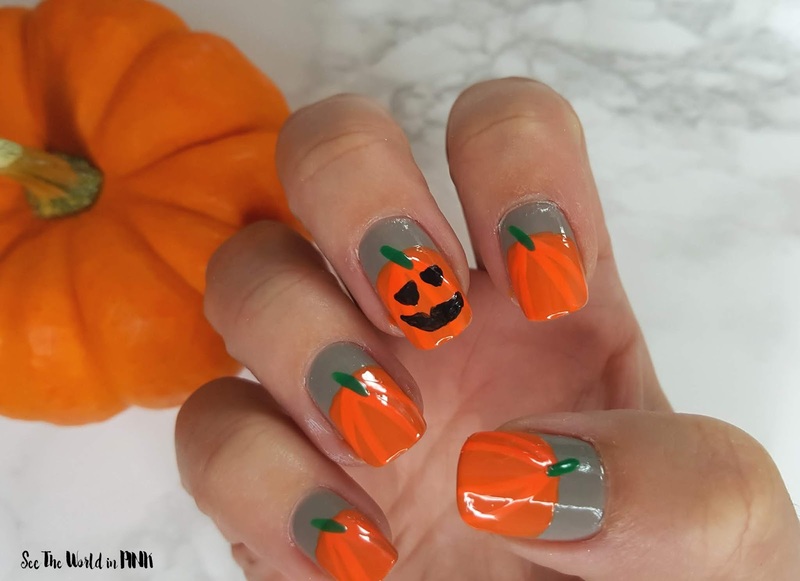 Make sure you check out Cosmetic Proof, Prairie Beauty Love, and Tea & Nail Polish to see their take on "Halloween" for their manis this week! I love your pumpkins! And the Jack-o-lantern ties it all up perfectly for Halloween! Thanks Chantal! I'm happy with how they turned out too!! THIS IS THE FRIGGING CUTEST!!!! Thank you - I love how they turned out! This is so fun...and a perfect way to sneak Halloween spirit into the office. Oh yes - I'm all about the Halloween spirit! Oh my gosh, this is so cute. I love the idea. 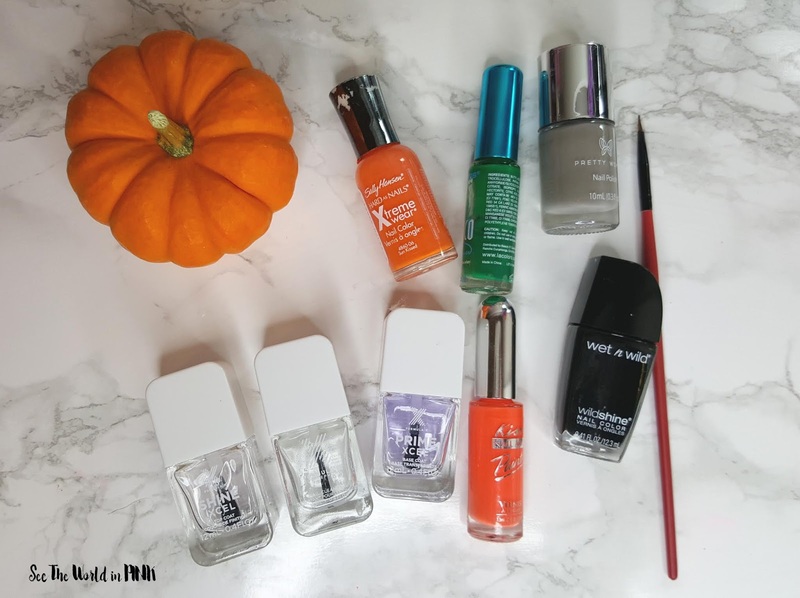 That Sally Hansen orange is just perfect for the pumpkins. Thanks Jill! The orange really was the perfect shade!